Costa Rica is a heavenly destination for honeymooners. The country offers beautiful white sand beaches, cozy boutique hotels, luxurious spas and thrilling adventures; and all these things together will definetly guarantee an unforgettable experience. Regardless the kind of couple you are, if you choose this small piece of paradise as your honeymoon destination, you will live an amazing first adventure as newlyweds. Costa Rica has been named several times as one of the best honeymoon destinations in the world, and some days ago, the british magazine Conde Nast Travel pointed Andaz Papagayo Hotel as the best hotel in America for a romantic break. This designation was made due to the hotel’s spectacular and impeccable architecture that perfectly blends with the flora and fauna of the Papagayo Peninsula, and the exclusive and personalized service that guests receive. 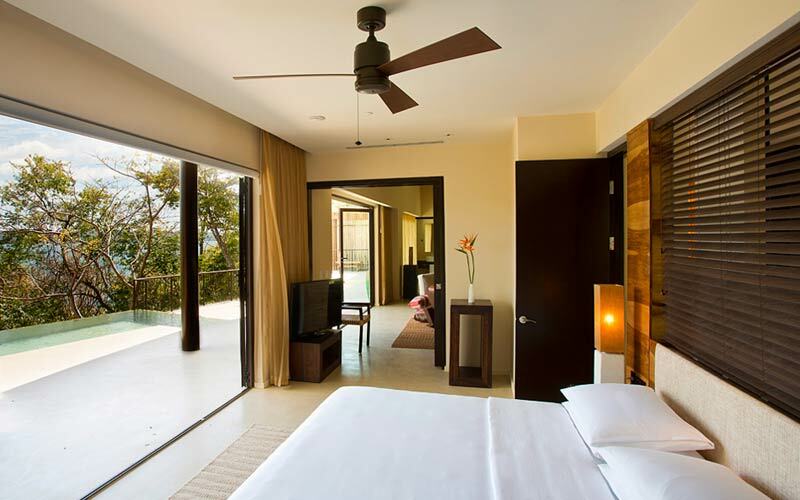 Andaz Peninsula Papagayo Resort by Hyatt is located in Guanacaste province, in the Northern Pacific of the country. Daniel Oduber International Airport is only 45 minutes away; and some popular beaches like Tamarindo and Conchal are located no more than 1 hour and a half. The resort offers 153 luxury rooms - designed and decorated with woven textiles and carved wood, nine spa treatment rooms, three restaurants, and two outdoor pools. Besides, an Arnold Palmer’s 18-hole, Par-72 championship signature golf course is located next to the property; in case golf is one of the interests of the couple. But if you are looking more than just a couple of days at the beach, Costa Rica has a lot more to offer. To perfectly combine an stay at Andaz Papagayo Resort with more luxury and relaxation, Arenal Nayara Hotel, Spa & Gardens is located in the popular town of La Fortuna. La Fortuna is the home of the magestic Arenal Volcano, one of the most popular attractions of Costa Rica. Arenal Nayara Hotel was named some months ago as the third best 5 star hotel in the world for the pretigious magazine Business Insider. The publication chose the top five global rankings prepared by Travel + Leisure, Conde Nast Traveler, TripAdvisor, Fodors and Jetsetter, and gave each hotel a numerical percentage based on how many lists it appeared and how high were located in these lists. 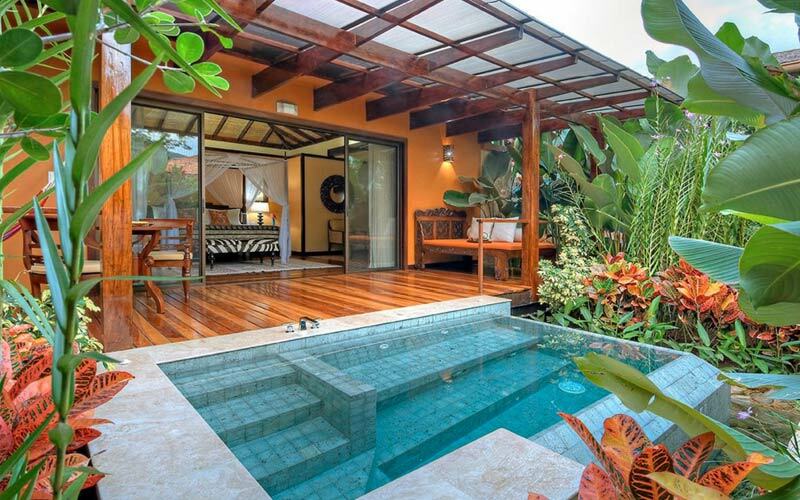 Arenal Nayara Hotel, Spa & Gardens is a five-star oasis overlooking the Arenal Volcano. An exclusive and luxurious retreat, Nayara features just 50 spacious and private casitas (bungalows), all with private terraces with outdoor showers and Jacuzzi tubs for two.